Thanksgiving might be the ideal holiday for our times. Everyone gathers and gives thanks to whomever for whatever however it moves them. And then we enjoy a meal. Together. Perfect, except for maybe one thing – food stress. Writing in the New York Times, pediatrician Aaron Carroll tells us that “when we moralize about food, we remove joy from eating and forget the benefits of moderation.” He’s written some simple rules for healthy eating that we admire for their elegance. His rules steer clear of pseudo-scientific dogma. He’s upfront about the limitations of nutrition science that others peddle as gospel. Health decisions, he says, are all about weighing benefits and harms. When thinking about food, sometimes worries about harms crowd out the benefits of simply enjoying a meal with loved ones. Apparently, though, families are finding stress over special diets when they gather for family meals. New survey research from the C.S. 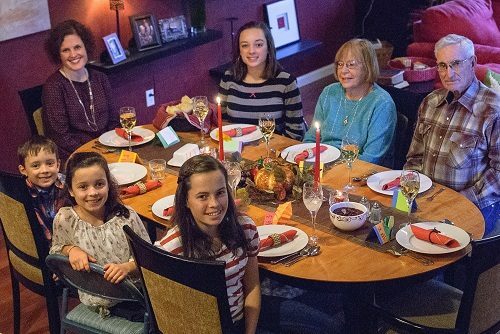 Mott Children’s Hospital says that about half of all families report stress at family gatherings because of family members following a special diet. We all may be served by lightening up on this one. 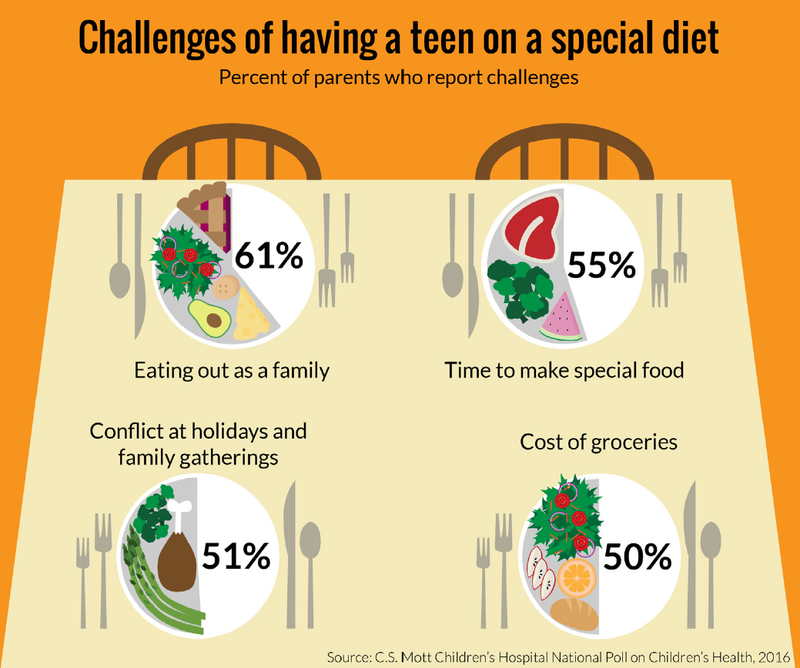 For teens, food can represent their emerging independent identity. So, it may be best to back off and let them express themselves. As a matter of fact, letting people express themselves at any age, is a pretty good strategy for diffusing conflict. Offer options. Invite someone to bring a special dish. A little dose of respect all around helps to ease the process. If someone wants to express themselves with food, perhaps they can contribute something to the meal. The joy of food comes in sharing it with loved ones. Have a happy Thanksgiving! Click here for more from Aaron Carroll, here for perspective on intuitive eating at Thanksgiving, and here for more on family food stress.